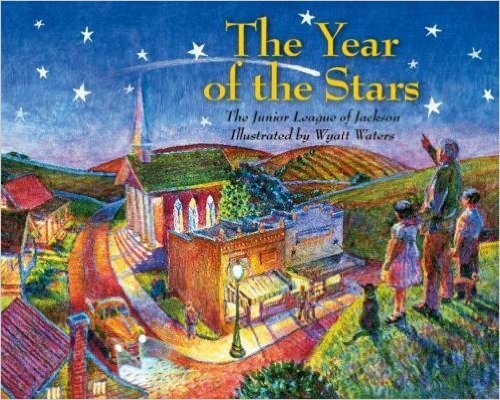 The Junior League Of Jackson and Wyatt Waters, illustrator, are proud to present their newest contribution to the community - their children's book: The Year Of The Stars. Filled with beautiful language, imagery, and artwork, The Year Of The Starstakes you back to childhood and tradition in the South. Football games, hot weather, pumpkin patches, summer fishing, Easter egg hunts, and all the other staples to a Mississippi childhood flood the pages. The Year Of The Stars, a tribute to the memories we all hold so dear!